DENVER, April 20, 2016 /PRNewswire-USNewswire/ — In the year since announcing that the date of 4/20 would be recognized as International Peter Tosh Day, the family of the famed reggae artist and human-rights activist have taken major steps to enable the world to experience Peter’s music and social views. To that end, the family is proud to announce it is launching Peter Tosh 420, a company with a mission to organically grow the Peter Tosh legacy by providing quality cannabis products for medicinal power, spiritual enlightenment and recreational enjoyment. Peter Tosh 420 is a new venture being formed by the family of Peter Tosh, music and entertainment industry veteran Brian Latture, and cannabis industry leader Steven Trenkof Lizada Capital, LLC. Peter Tosh 420 is poised to capitalize on the current legalization movement. “We are very excited to be partnering with Steven Trenk, who brings a wealth of experience and immediate industry credibility to our cause,” said Mr. Latture, who manages the Peter Tosh brand and is Chief Executive Manager of the new venture, PT Capital, LLC. “This venture is not just about business, it is about spreading my father’s message of equal rights and justice, while bringing what he believed was a sacred herb to the world and doing good deeds in the process,” said Niambe McIntosh, the Administrator of her father’s estate, and President of PT Capital, LLC. Peter Tosh 420 will embrace the mind, body, and spirit aspects of the cannabis culture, which Ms. McIntosh believes will build long-term brand loyalty. 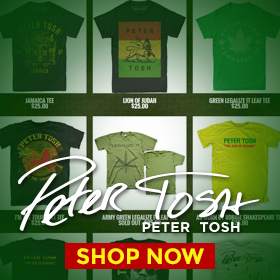 In addition, proceeds from every sale will be donated to the Peter Tosh Foundation, which will be administered by Peter’s family. “We want Peter Tosh 420 to be a global force for doing good work, as we collectively believe my father would have wanted. We will support such issues as childhood education, social justice, equal rights, cannabis legalization, and other humanitarian causes,” McIntosh continued. 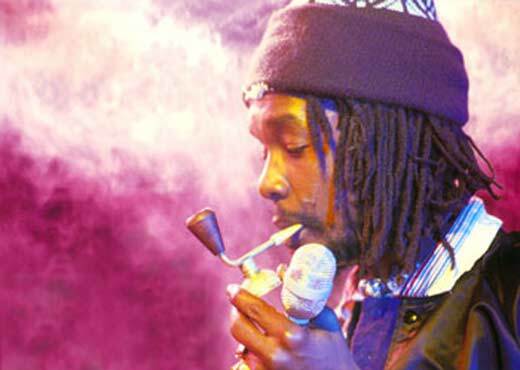 Peter Tosh was born Winston Hurbert McIntosh on October 19, 1944 and was assassinated on September 11, 1987. His legacy includes being a founding member of the ground-breaking reggae group The Wailers, along with Bunny Wailer and Bob Marley. His first solo album in 1976 entitled Legalize It, became an anthem for the so-called counter culture, and he was one of the first outspoken advocates of cannabis legalization. The song, “Legalize It” was banned in Jamaica and in many countries around the world for its revolutionary message.